In honor of National Library Week, here’s a post we did as a group way back when MCW was young. The sentiment still holds–writers love libraries. We love our local libraries, we love the libraries we visit, and we love the librarians who converse with us through the blog, on Facebook, at mystery conferences like the Maine Crime Wave, and at gatherings we’re attending. We welcome the chance to talk with readers. For many of us, libraries were the temples and/or refuges of our youth and helped us keep our noses buried in books. Lea Wait, Al Lamanda and Jim Hayman at the Kennebunkport Library. libraries as a group topic? We could relate funny/good experiences, talk about some of the neat-looking buildings around the state, and maybe make a plug to “support your local library.” The immediate response to this from our resident guru (that would be Kate) was “Feel free to start that post with a story.” I immediately went blank. I can’t even count the number of Maine libraries I’ve visited, on my own or as part of a Sisters In Crime panel. There are lots of lovely memories. Unfortunately, I’m not always sure which memories go with which library. This is doubly embarrassing because Maine libraries often have unique features. Patrons have to walk across a bridge over a stream to reach the Wilton Free Public Library, which backs up against a cliff on the other side. Once or twice, it has been completely cut off by high water. 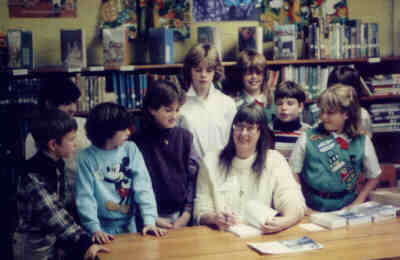 I did one of my very first book signings there, way back in 1985 when my first novel, The Mystery of Hilliard’s Castle (w/a Kathy Lynn Emerson for ages 8-12 and published by Down East Books) came out. Here’s a picture taken that day, back when my hair was brown instead of gray. Another unique library is the Friend Memorial Public Library in Brooklin, Maine, a center of boat building. Those same boat builders constructed shelves that slide back out of the way to create an open space for programs. 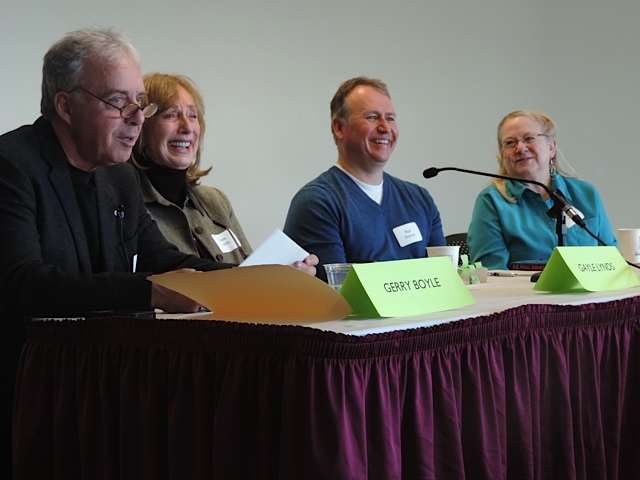 Many of our small Maine libraries sponsor reading groups as well as inviting authors to speak. I’ve met several times with the mystery readers’ group at the library in Rumford and always have a wonderful time. Okay, that’s a start on good thoughts about Maine libraries. What stories do the rest of you have to tell? Lea Wait: Maine is the kind of state where you don’t tear down or throw out. You re-use. So some of my favorite libraries had former lives. The Wiscasset Library was once headquarters of the 19th century Lincoln and Kennebec Bank; the original vault is still in the basement. The Winslow Public Library had its start as a roller skating rink; the center of the rink is now a wonderful oval children’s department. The Thomaston Library was once an elementary school. And, of course, too many libraries to be counted started their lives as large elegant homes. Sarah Graves: While thinking about what to say here, I realized that my relationship with libraries large and small, public and private, is one of the longest and strongest relationships in my life. From the tiny three-rooms-above-the-fire-station in Pewaukee, Wisconsin through the wonders of government and university collections and now back to Eastport, Maine’s excellent Peavey Library, I’ve relied upon them for all kinds of things. Information, of course, and entertainment…but also for peace of mind, that sense that here is something worth having and saving for all of us, and I’m not the only one who thinks so. And for humility…because there’s nothing like the sight of the book that was the Big New Thing in 1955 to lend perspective to whatever my little writing-tale-of-woe happens to be that day. Kaitlyn: I doubt there’s room enough here to mention all the libraries that have done good things for Maine writers over the years. The public libraries in Portland and Bangor are large but writer-friendly. I still have the tee-shirt from a panel Kate Flora and I and some others did there eons ago. It says: “Solve a Mystery . . . Read.” The Maine State Library in Augusta has a collection of books by Maine authors. In addition, the librarians there are always willing to help with research. The library also offers free access to MARVEL, which provides the text of articles online. I use Mantor Library at the University of Maine at Farmington regularly for research and keep the inter-library loan staff very busy every time I start a new book. 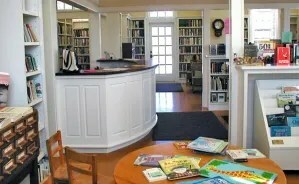 With a courtesy card from that branch, I can request books online from anywhere in the University of Maine system (URSUS) and from other libraries connected to it through MAINECAT. The little libraries are great for research, too, especially in local history and genealogy. They can all order inter-library loans. And many of them function as mini-museums, too, with permanent exhibits of items of local historical interest. Even with budget cuts, most rural Maine libraries still manage to provide all kinds of extras to patrons, everything from computer access to photocopying services. And, of course, books. Gerry Boyle: What would we do without libraries and librarians, the best “handsellers” in the book business? From Biddeford to Portland to Bangor and beyond, I’ve always enjoyed my visits with library patrons. But I must say my favorite is the Albert Church Brown Memorial Library in China Village. Where I live. Where I was, for many years, president of the board of trustees. Now I’m the guy who lovingly mows the library lawn. That said, our village library, like others, is a mystery lovers haven. A room full of titles, new and old. I can take out a yellowed John Creasey or the newest release. I can ask Mary Grow, the librarian, what she recommends. She’ll tell me what she thinks, the feedback she’s getting, whether she thinks I’ll like it. When I finish a book, I not only return it, I give my unofficial review. So when a reader says, “Sorry, I don’t buy your books. I get them at the library,” I don’t complain. These are places where the reading is the thing. Barb Ross: I’ve been to the Friend Memorial, too. On a panel with Katherine Hall Page, Valerie Wolzien and Wiscasset’s Janet Morgan. What a gem! 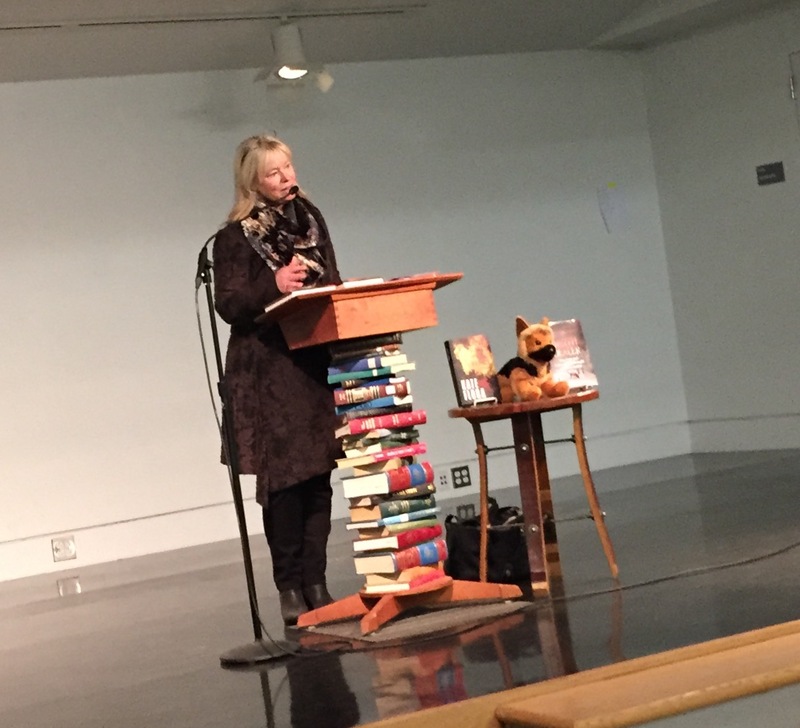 My library gigs, in Maine and throughout New England have been great. Many librarians could give many booksellers lessons in how to manage an event, in my opinion. How’s that for a grand generalization and a controversial statement to boot? 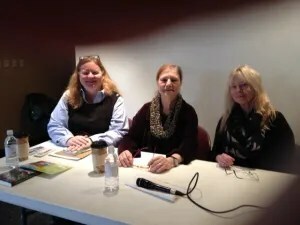 Here I am at my first library panel in Wells, Maine with Kate Flora, Jayne Hitchcock and Anne Mosey introducing. Can it really be just eleven months ago? I was nervous and very glad to be in the capable hands of Kate Flora. 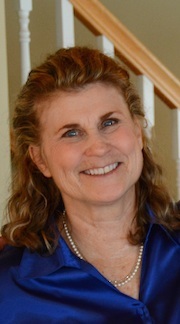 Kate Flora: My first job was as the librarian’s assistant at the Vose Library in Union. It meant I was second in line, after the librarian, for the new Victoria Holt, Phyllis Whitney, and Mary Steward romantic suspense novels. Among my memorable experiences at Maine libraries I have to put a very special night at the McArthur Public Library in Biddeford, with Lea Wait and Ruth McCarty. It wasn’t just that the librarians were so kind and friendly, nor that the crowd that night (and it WAS a crowd–our Maine librarians are good at giving us an audience) was so receptive and asked such intriguing questions. It was the refreshments. I’ve posted this photograph on a number of occasions, because it is such a prize, and it has inspired many another library to do the same. And no one can say our librarians lack ingenuity and creativity. 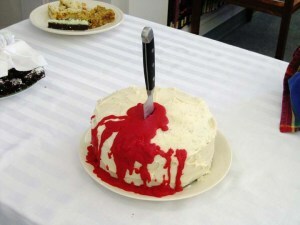 See the cake the Freeport Community Library provided for a crime story/Poe’s Birthday event. 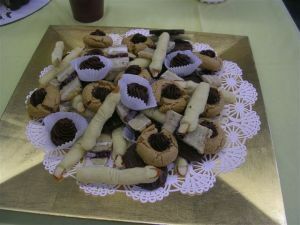 And the Camden Public Library did themselves proud with an entire buffet of mystery treats for a panel that Gerry, Jim and I did there. My “home” library, of course, is the Vose Library, in Union. It’s where I had my first job, helping the librarian after school. And where they’ve invited me to participate a few times in their annual “Soup and Suspense mystery event. And of course, while the list could go on and on, since visiting Maine libraries is one of my favorite “pastimes,” I cannot end this (though I know this group will be back to the subject of libraries many times) without mentioning Carol Briggs, a serious author supporter at the Curtis Library in Brunswick, and Charlene Clemons, at the Ellsworth, Maine library, who has declared herself my biggest fan. I wonder if people realize how much such a declaration means? Julia Spencer-Fleming: My local library, the Salmon Falls Library, is typical of what you find in many of Maine’s rural areas. It’s reused from an older building (in this case, the first kindergarten in the Buxton/Hollis area, donated to the town by its most famous author, Kate Douglas Wiggins.) It’s open about 20 hours a week and has one paid employee, the director. 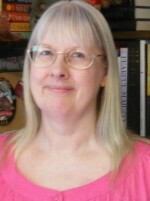 (She also acts as children’s librarian, acquisitions director, programming manager, etc., etc.) The wonderful thing is, there are three other libraries serving the two towns; West Buxton, Hollis Center and Berry Memorial. Between them, area residents have the same choices and hours that library-goers in the city enjoy. I support my library as a volunteer and as a donor. I also recently became the President of the Friends, by virtue of being the last one to arrive at the annual meeting. 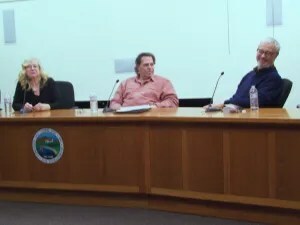 Finally, I’m the Salmon Falls Library’s Writer-in-Residence, which means I get the key and can work there when the place isn’t open to the public. Since it’s the only place around with air conditioning, I’m there quite a lot in July and August! Kaitlyn: One last comment from me. Support your local library. Volunteer. Check out old favorites from the stacks, since whether or not they are culled depends upon how recently they were read. And donate books (in good condition) that you’ve read and don’t need to keep. Even if they aren’t added to the library collection, they can help raise funds at library book sales. Kate adds: Also donate videos, audio books, and music. Even if the library can’t use your offering, clever librarians like our own John Clark, the librarian in Hartland, can turn those into cash to support the collection. 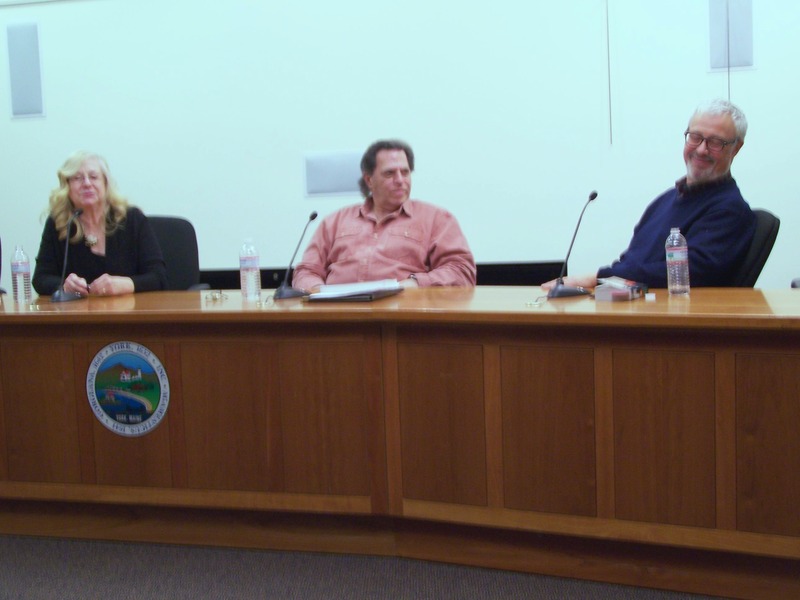 From all of us: Authors visits, and author panels, are a great way to connect library patrons who are avid mystery readers with their favorite authors and introduce them to authors they may not have discovered. 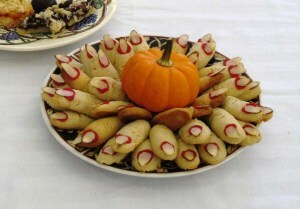 Events like Death and Desserts or Soup and Suspense engage the patrons who make the soup or deadly desserts, and make a talk an event. 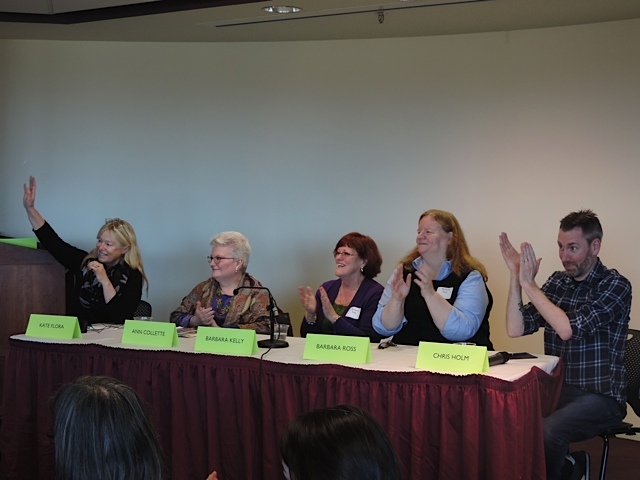 Kate Flora moderates a panel with agent Ann Collette, bookseller Barbara Kelly, Barbara Ross and Chris Holm. This entry was posted in Group Post and tagged Al Lamanda, Ann Collette, Barbara Kelly, Barbara Ross, Brooklin Maine, Camden Public Library, Chris Holm, Eastport Maine, Friendship Memorial Library, Gayle Lynds, Gerry Boyle, Hartland Library, James Hayman, John Clark, Julia Spencer-Fleming, Kaitlyn Dunnett, Kate Flora, Kathy Lynn Emerson, Lea Wait, Maine Crime Wave, Maine Crime Writers, Maine libraries, Paul Doiron, Peavey Library, Portland Public Library, Salmon Falls Library, Sarah Graves, Skidompha Library, The Mystery of Hilliard's Castle, Vose Library, Wilton Free Public Library, Winslow Public Library, Wiscasset Library. Bookmark the permalink. The library saved me as a kid when I was bored and/or depressed. It saved me during times with not much money. You could have just about anything you wanted and go home feeling rich. I hope never to forget going to the tiny library on Monhegan Island. It was a treat for a rare rainy summer day on the island. Some of the books I found there! Walking up the sandy road to that little gray house is as vivid today as it was when I did it about thirty years ago. Thanks for the post. 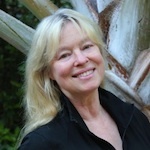 Do you have to be a blonde to be a Maine Crime Writer? Or is it coincidence that all seven of you ladies are fair? Seriously, Julia, thanks for mentioning the Writer-in-Residence perk of unlimited access to your local library. What a great idea! I’m writing a letter to propose we appoint a W/R at our library here in Jonesport/Beals — me! I need a quiet place to work. As a librarian, it is always wonderful to hear what folks, especially writers, think about libraries and to hear about libraries I have not visited. As a kid growing up in Ellsworth I spent many a warm summer afternoon reading under the elms at the Ellsworth Library, and many a winter afternoon inside doing homework. Still a great place to spend and afternoon – and now I get paid! And Kate, you are still my favorite author! And Charlene…come next February…you’ll finally have a new Joe Burgess to read. Thanks for the support! I have been a library patron since I learned to read at age two. I love libraries and visit my local about once a week. What a wonderful post! Libraries have been a favorite of mine since early childhood and I feel privileged to work in one. We at Wells Library have hosted a mystery night in August for over ten years now. It’s a great way to see some of our favorite authors or to meet some new ones. I love libraries and am fortunate enough to have two of them close to my home. The Little Egg Harbor Public Library is housed in a modern building built just for it. In contrast, the Tuckerton Library, opened in 1875, is the oldest library in Ocean County and has a very interesting history. In 1900, the original library building was moved from its Main Street location to the corner of the Presbyterian Church property where it remained for some seventy years until it was moved to its present location and expanded. Today, the museum room of the library is located in that original library building. Libraries are such welcoming places . . . thanks for a wonderful post. I love a lot of things like books, librarians and older ladies who like to dance. I have library cards for 5 local facilities – city and county. I enjoy my time at the Curtis Memorial Library. Carol is one of the older librarians in the place and always helpful with research materials or suggestions on books to read to inspire me. Then of course there is the dreaded computer that I can never get to do what I want it to do so she helps with that too. I enjoy the book presentations from favorite writers that comes about in October to November. It is such a feeling of home I have inside those walls. A comfort that any bit of knowledge I seek is at hand and people like Carol are there to help when I need it. As a library director and an aspiring writer, I have a soft spot for all libraries, not just my own. I visit the library wherever we vacation to, just because I feel that it’s a must. I like to take working ideas that I see from them all and implement them in some way in my own library, whether it’s a bulletin board, a book display or hanging artwork of some kind. I serve a community of about 4,500 so it’s a small patronage but I think my staff of two knows everybody and can recommend based on preferences, something I enjoy doing. Nobody is just a number in my library and I hope that as I pass out of the library in time, it will continue with that hometown feel. Some of these libraries mentioned sound lovely and I may have plan a vacation near them just so I can visit. I was sad to read about the Swans Island library but I’m glad that in our economic climate, it’s been rebuilt. I love this post! And how I wish my local library hosted events like this. I spent so much of my childhood at the library. It was always a special treat to be able to wander among the shelves and shelves of books, choosing an armload to carry home. My “life was changed” (excuse cliche) at the beautiful library in Beverly, Massachusetts, when I was twelve. The rule was that only adults were allowed in the stacks. But I was already a fixture there and had started taking out adult books. One glorious Saturday, a busy librarian told me, “Oh, why don’t you just go get this from the stacks yourself?” As in, “Oh, why don’t you just come right into Heaven now, instead of waiting?” What I remember most vividly is the smell. Old paper and dust, of course, but I could smell the depth, too, of universes folding in and out of each other. I’ve changed my life’s course several times, but always into a new stream of books. and about a year later nothing has changed…I still donate books to the library or to the Friends of. Gram…we repost this because each year, our stories change and our readers share new stories. A few years ago, I didn’t know how valuable old VCR tapes and DVDs could be. Now I also know that libraries have large collections of DVDs which are very important to their patrons. And of course we forgot to mention something very important: that buying an author’s book and then donating it to the library helps everyone! ‘Twas molto nifty this past Saturday at the USM library. From my seat in the front row (chosen to avoid distrction and to maximize the hearing quotient) I watched you all with great pleasure. Each presntation had a unique personality and Barb’s came with handouts of her power point show. I’m so grateful this venue is so ‘close’ to home (though I did spend 13 hours in Portland Saturday – figuring in my appointment at the South Portland Mac Genius Bar and was a dishrag when I returned home). What a loverlty way to issue in spring (though this is not official until the iceberg in the front yard evaporates. I don’t know how this item can be topped but I’m lookiong forward to finding out. A Happy National Library Week to all of you fine writers. If you support libraries and librarians, you have to know librarians love writers. In fact, to this 2000 year-old librarian, you are my deities. So in 2000 years, I’ve met a lot of writers, but in the last twenty-something years, I have become acquainted with many mystery writers through on-line groups, Sisters in Crime and conferences. Mystery writers are the nicest people I know and I’ve had the pleasure of meeting many of you in person. And before that I fell in love with Maine from reading non-mystery writer, Elizabeth Olgivie. So hail to writers of all genre, but most especially mystery writers. Of course, there are hundreds of writers in the Doris Ann fan club, as you know. And you have taught us reams about working with libraries. All of which reminds me that next year at our Maine Crime Wave, we need to include more librarians!! Funny how I find myself in a library five days a week. I still maintain that there’s no better way to know the heart and soul of a town than being the librarian. If you could see the giant pile of stuff to be cataloged that surrounds me here at home, you’d know why my wife seldom dares enter my library/mancave. Great article, MCW!! Thanks so much for the sharing. Just a reminder that another way we can all support libraries is by supporting budget requests at our town meetings or in front of city councils. And for those of you who have yet to file state income tax forms, please don’t forget the Maine Public LIbraries fund check off on form CP. A small amount from many can add up to so much. In closing, here’s a huge thank you for the wonderful presentations MCW generously gives in libraries across Maine. You are all wonderful!